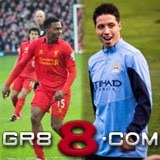 This weekend sees two massive games at both ends of the Premier League table, with Fulham hosting Norwich on Saturday before Liverpool take on Manchester City the following afternoon, and GR88.com is backing a couple of vital home wins. Fulham (2.06) can move within two points of safety if they record back-to-back league wins for only the second time this season, and they face a Norwich side (3.40) who play their first game since the exit of manager Chris Hughton. On Sunday, attention will turn to the top of the league, as top-of-the-table Liverpool (2.28) chase a 10th straight win against Manchester City (2.84). However even a draw (3.35) would put City's fate in their own hands. Straight after that clash between first and third in the league, second-placed Chelsea (1.71) will look to keep up the pressure on their rivals by winning away at Swansea (4.80). In the final stages of the season, important matches can often be particularly tense, resulting in low-scoring encounters. However GR88.com will refund selected pre-match bets if any of the games finishes goalless, as part of the Nil-Nil Money-Back Offer. This deal extends to the top divisions in France, Germany, Italy and Spain, as well as the UEFA Champions League.